Have an annual ski swap or town-wide “garage sale” you need help tracking? 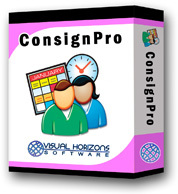 ConsignPro can help. Whether you tag the items or your customers do, ConsignPro can track each sold item and make sure your consignor is paid correctly at the end of your event. Using our robust point-of-sale, your consignors will have complete faith that their items were accounted for and paid correctly for their items. We also have discounted prices for annual or semi-annual sales, ask us!